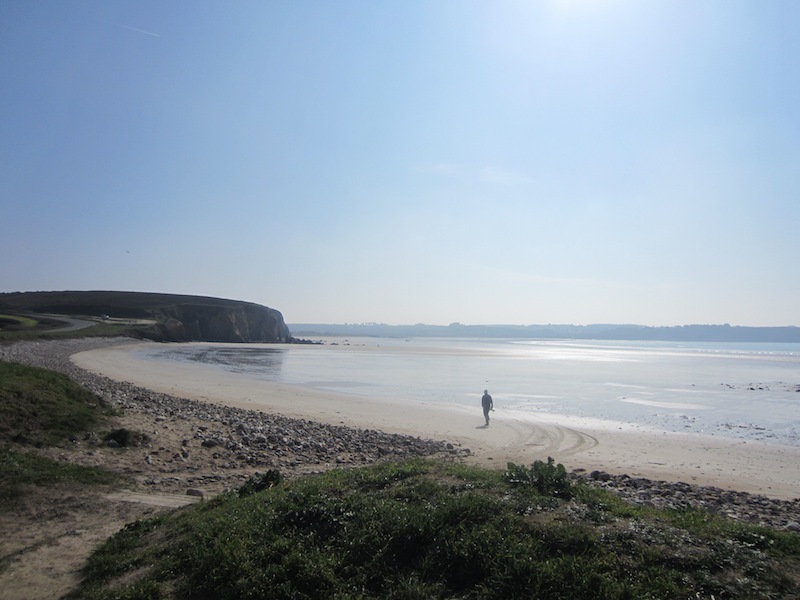 Rocky inlets with secret caves, warm shallow pools, soft sand and a stunning cliff top walk, the beaches at Le Pouldu have something for everyone. The beach at the port is best for crabbing, although the strong current here means you can only paddle, not swim. Head further west and you’ll have the choice of several other stunning beaches where you can take a dip. A gently undulating coastal path takes you from one beach to the next with fabulous views of the coastline. You can walk five miles to Doelan, a picturesque fishing inlet with three top seafood restaurants. The Suroit is our favourite. A beautiful sheltered beach, St Nicolas has a row of charming white beach huts and a restaurant/café with fabulous sea views. When the tide goes out, you can walk out to a little rocky island and find crabs and starfish and other sea life among its rock pools. Children will love it. The Sunday morning market at Larmor Plage brings locals from miles around. Afterwards, they all head down to the beachfront promenade for lunch at one of the terrace restaurants. The Celtic is the most popular and you have to arrive early to get a table. The scallop pie and the leak and salmon tart are delicious. After lunch, follow the path west, past some rockier smaller beaches, and then take the wooden boardwalk across the grassy dunes to Plage de Locqueltas, a wonderfully long and wide beach with rocky pools for crabbing and miles and miles of sand. 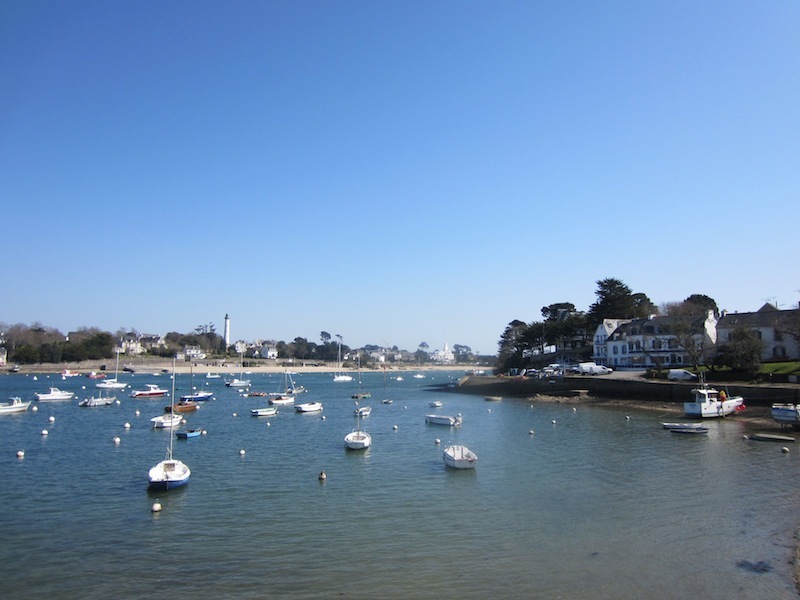 The resort of Benodet is nice enough, but head across the bridge to the other side of the estuary and you’ll find the pretty fishing village of Sainte-Marine. Its cute waterfront is lined with creperies, bars and restaurants, which attract a sophisticated 30-something crowd at the weekends. Take the pretty coastal path around the headland and you’ll arrive at Plage de Kermor, a two-mile fine sandy beach backed with dunes. Brittany is dotted with lakes of all shapes and sizes and many of them have manmade beaches with warm shallow water that makes them perfect for little ones. 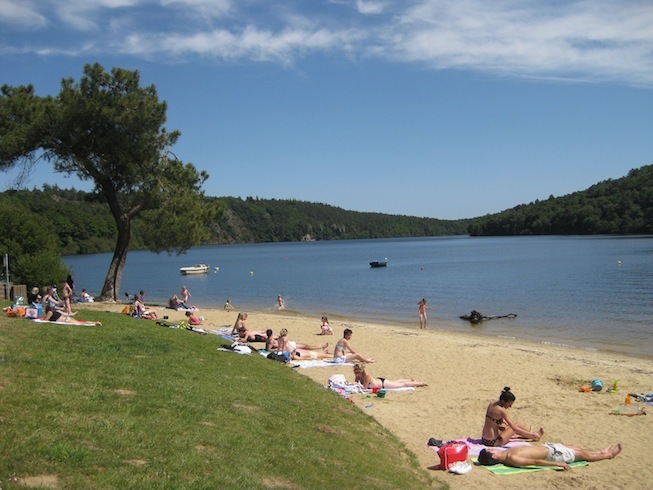 The Beau Rivage at the Lac de Guerledan is one of the most popular. There is a child-friendly café/restaurant with lake views and a little ice cream kiosk. You can hire pedalos, speed boats or kayaks or just sit back and admire the lakeside views. This huge expanse of flat sandy beach, backed by dunes, is the place to come to watch kite surfers in action. When the tide is out, it’s also a popular spot for sand surfing. It’s a windy spot, so blow the cobwebs away with a brisk walk or curl up in the shelter of the dunes and watch the waves crash. 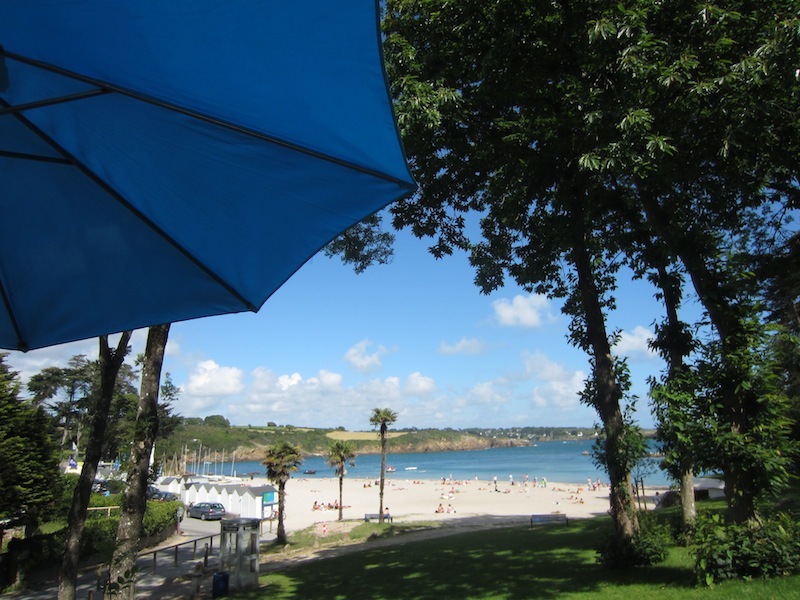 The Crozon Peninsula boats some of Brittany’s best beaches but our favourite is Lostmarc’h. It’s a popular spot for surfers and you’ll see plenty of VW camper vans in the car park. Park at the higher of the two car parks and take the walk past the pretty cottages and down across the cliff top. The views are breathtaking. The Pink Granite Coast is regarded Brittany’s most beautiful stretch of coastline, with giant rock formations that are so large and strange they don’t look real. Their famous pinkness deepens according to the light, reaching its most magical at sunset. The best rocks are on the two-mile coastal path between Perros-Guirec and the port of Ploumanac’h, but get off the tourist trail and head to the nearby beaches at Trestaou and Trestignel.